Constructing suitable and well-built bunds is a vital stage in preventing pollution; however if these bunds are not adequately maintained they may develop failures which prevent them from functioning properly. It is also important to ensure that your bunds remain compliant with increasingly stringent environmental legislation. 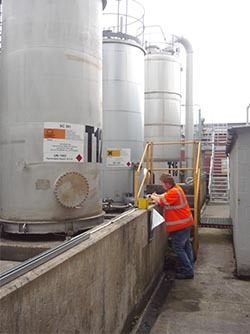 Our bund surveys are designed to check the condition and suitability of your secondary containment and can be conducted as a one off or can be conducted at regular intervals (recommended annually based on seasonal temperature changes). We will look at the suitability of your bunding in relation to the type and quantity of the liquid it holds. Inspect for visual fail points or signs of damage. Inspect to ensure there are no cable/pipe penetrations, or that any penetrations are effectively sealed. Calculate the capacity of the bund to ensure it is of sufficient size for the stored material and any extra capacity needed e.g. for firewater containment. Ensure the walls are tall enough to protect against spigot flow and the tidal wave effect but short enough to allow sufficient access, ventilation and firefighting measures. Ensure that the construction materials are suitable for the type of site you are on. Inspect that any specialist linings or coatings are still in good condition and remain impermeable e.g. not cracked, flaking or peeling etc. Ensuring these points cannot be tampered with and in the event of an incident can be isolated. Assessing the location of the bund on the site e.g. access issues, potential vandalism, requirement for impact barriers if on a traffic route. Our consultants will inspect your bunding in line with all relevant legislation and guidance e.g. The Oil Storage Regulations and CIRIA 736. 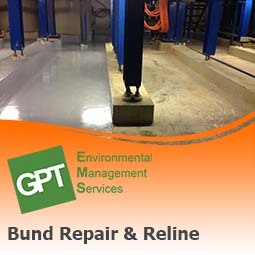 Following any bund survey you will be provided with a report detailing the condition of all of your bunds, highlighting any defects and where necessary, providing recommendations for remedial action. If defects are identified, then we can provide costs for our specialist staff to repair or upgrade the structure to the requisite standards. Our reports can be used as third party validation to external bodies e.g. ISO 14001 auditors that a suitable maintenance program is being conducted. If you want to guarantee the integrity of your bunding we can perform hydrostatic integrity testing. The bund is filled with water and a level logger is used to record any loss of liquids over time. 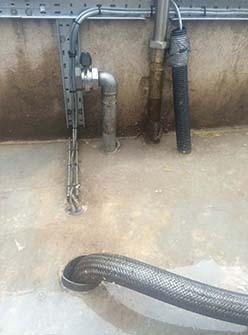 This will allow you to ascertain the water tightness of the bund. Any loss will be recorded and all data will be provided in a detailed report showing the volume and rate of discharge. 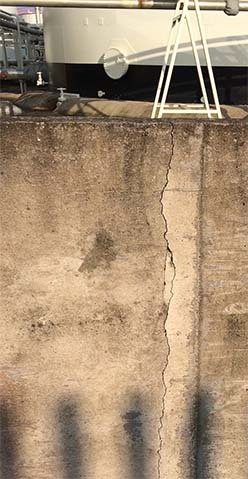 If the defects can be identified we will also give recommendations for any necessary repairs. While hydrostatic testing identifies the tightness of the bund, it can be time consuming and is unlikely to identify point loading failures for potential catastrophic failures. A further option is to complete a structural analysis of the bund utilising our qualified structural engineers. Using hand and computer (TEDDs software) calculations, overturning, sliding, crack control etc. can be analysis and compared against generally accepted safety factors. 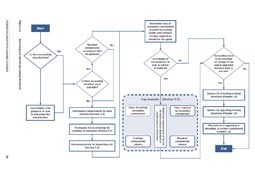 The output report can then be utilised as evidence that the secondary containment will be sufficient to retain liquids without conducting intrusive tests. As an addition to our bund surveys we offer a bund maintenance service. 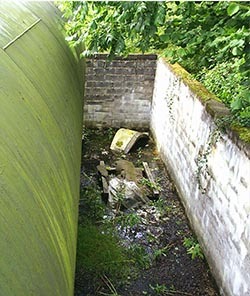 Effective bunds will collect and contain anything which falls inside them, not only the oils and chemicals they are designed to capture but also unwanted additions such as rain water and other falling debris (leaves, litter etc.). 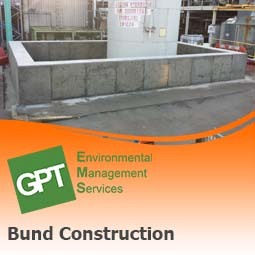 If a bund is not maintained properly the unwanted build up will reduce the capacity of the bund and may cause it to fall below the legislative volume requirements. In line with waste classification laws waste containing as little as 0.1% oil may need to be disposed of as hazardous waste. It is therefore essential that the waste removed from the bund is disposed of correctly and not simply thrown in a bin or poured down a drain. We offer a bund maintenance service where we can periodically clear and clean your bunds of water, debris and any accumulated contaminants. We have WAMITAB qualified staff to accurately classify the waste, and if classed as hazardous are an upper tier hazardous waste carrier so we can transport and dispose of the waste for you providing you with Duty of Care notes for your audit trail.